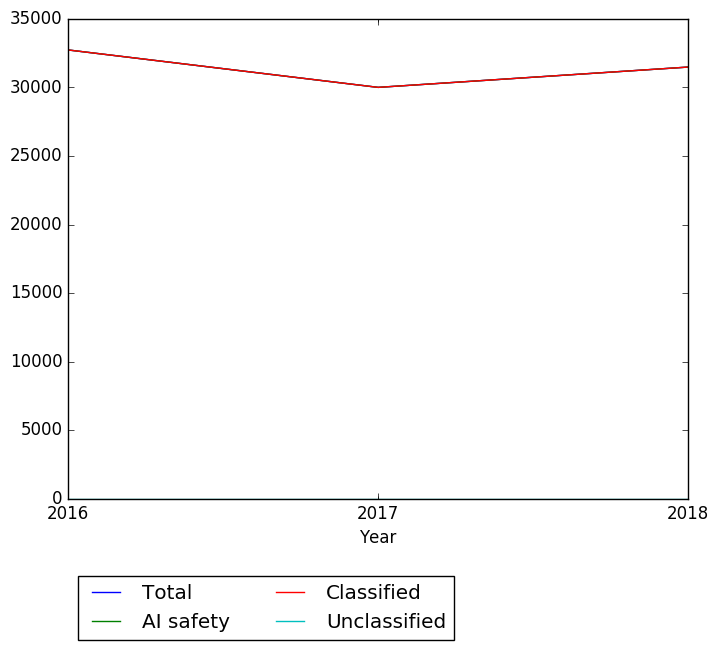 Machine Intelligence Research Institute 31,481.00 2 2018 AI safety https://web.archive.org/web/20180117010054/https://intelligence.org/topcontributors/ -- See post http://effective-altruism.com/ea/1iu/2018_ai_safety_literature_review_and_charity/ assessing research. 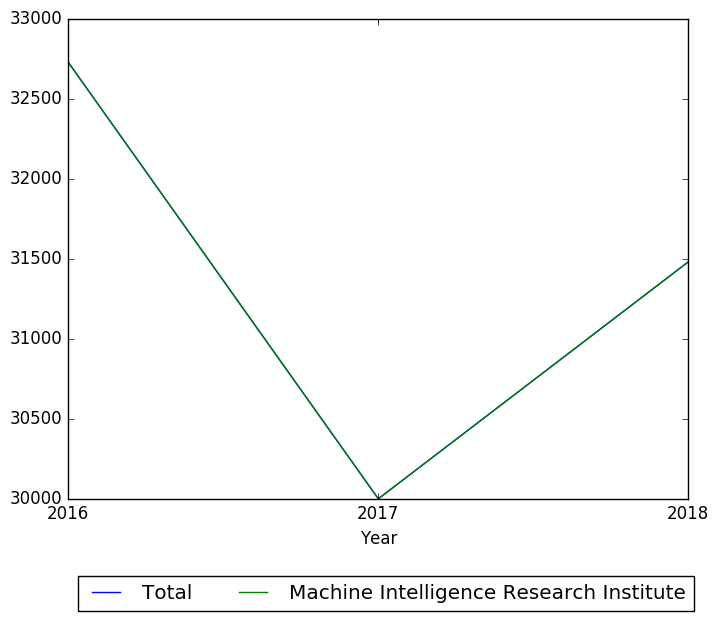 The conclusion: "Significant donations to the Machine Intelligence Research Institute and the Global Catastrophic Risks Institute. A much smaller one to AI Impacts.". 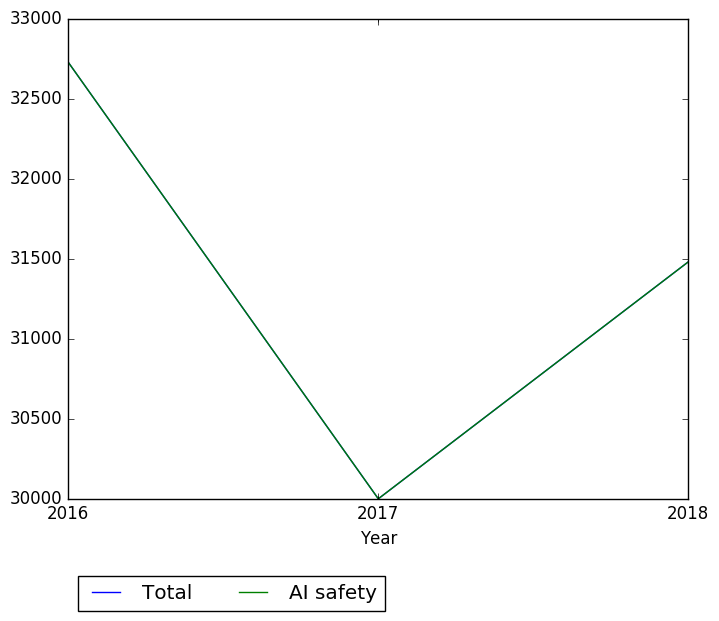 Machine Intelligence Research Institute 5,000.00 4 2017 AI safety https://web.archive.org/web/20170627074344/https://intelligence.org/topcontributors/ -- See post http://effective-altruism.com/ea/14w/2017_ai_risk_literature_review_and_charity/ assessing research. 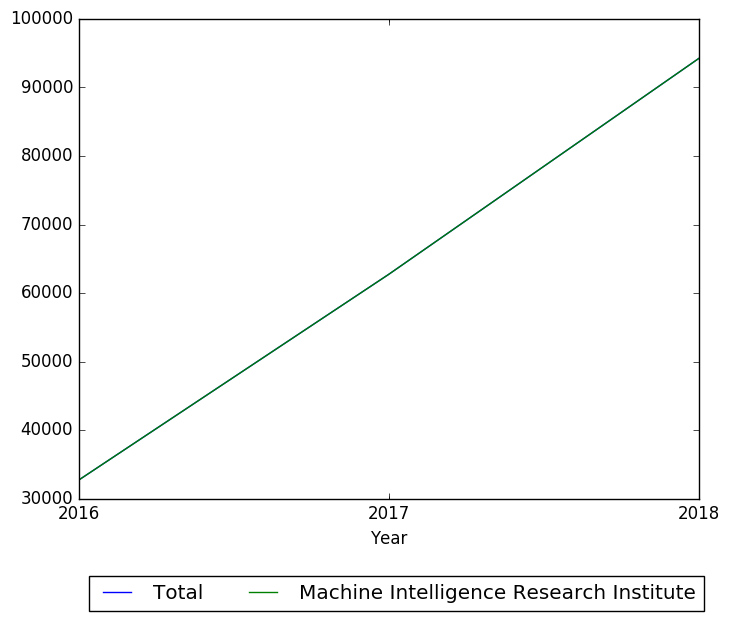 The conclusion: "Donate to both the Machine Intelligence Research Institute and the Future of Humanity Institute, but somewhat biased towards the former. I will also make a smaller donation to the Global Catastrophic Risks Institute.". 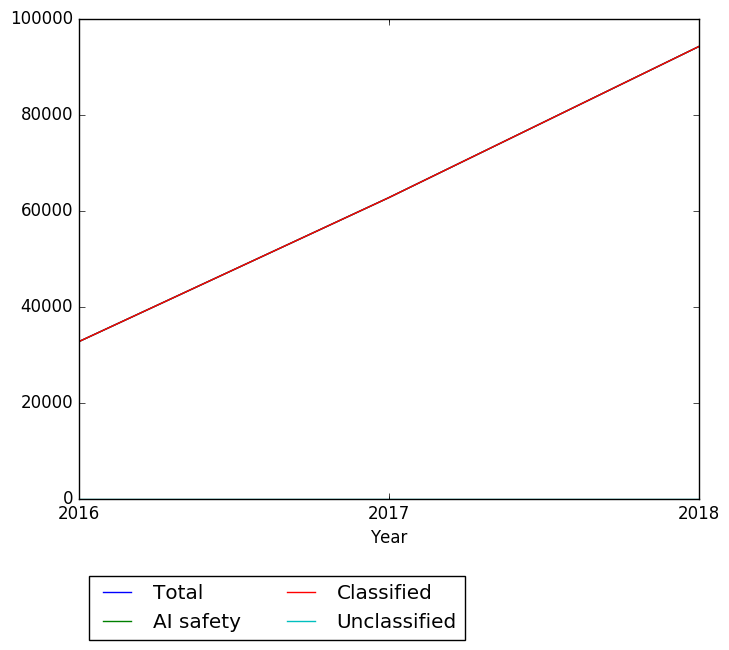 Machine Intelligence Research Institute 5,000.00 4 2017 AI safety https://web.archive.org/web/20170412043722/https://intelligence.org/topcontributors/ -- See post http://effective-altruism.com/ea/14w/2017_ai_risk_literature_review_and_charity/ assessing research. The conclusion: "Donate to both the Machine Intelligence Research Institute and the Future of Humanity Institute, but somewhat biased towards the former. I will also make a smaller donation to the Global Catastrophic Risks Institute.". 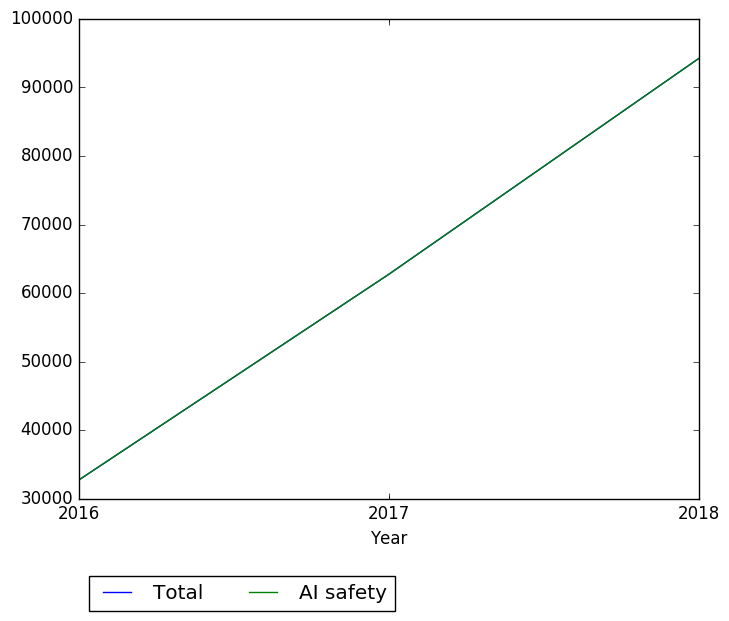 Machine Intelligence Research Institute 20,000.00 3 2017 AI safety https://web.archive.org/web/20170204024838/https://intelligence.org/topdonors/ -- See post http://effective-altruism.com/ea/14w/2017_ai_risk_literature_review_and_charity/ assessing research. The conclusion: "Donate to both the Machine Intelligence Research Institute and the Future of Humanity Institute, but somewhat biased towards the former. I will also make a smaller donation to the Global Catastrophic Risks Institute. ".